Pathway Church affirms that the Bible, containing the Old and New Testaments, is alone the only infallible, Word of God, and that its authority is ultimate, final and eternal. It cannot be added to, subtracted from or superseded in any regard. The Bible is the source of all doctrine, instruction, correction and reproof. It contains all that is needed for guidance in godliness and practical Christian conduct. It is the testimony of both the Old and New Testaments and of the Christian Church that God is both One and Triune. The biblical revelation testifies that there is only one God and that He is eternally existent in three persons— Father, Son and Holy Spirit. God the Father: God the Father is the creator and sustainer of all things, and He created the universe in love. He created man in His own image for fellowship and called man back to Himself through Christ after the rebellion and fall of man. The Son: Jesus Christ is eternally God. He was together with the Father and the Holy Spirit from the beginning, and through Him all things were made. For man’s redemption, He left heaven and became incarnate by the Holy Spirit through the Virgin Mary; henceforth, He is forever one Christ with two natures—God and man—in one person. The Holy Spirit: The Holy Spirit is God, the Lord and giver of life, who was active in the Old Testament and given to the Church in fullness at Pentecost. He empowers the saints for service and witness, cleanses man from the old nature and conforms us to the image of Christ. The baptism in the Holy Spirit, subsequent to conversion, releases the fullness of the Spirit and is evidenced by the fruits and gifts of the Holy Spirit. Christ’s vicarious death on the cross paid the penalty for the sins of the whole world, but its benefits are only applicable to those who receive Jesus as personal Savior. Healing—body, soul and spirit—and all of God’s provisions for His saints, are provided for in the atonement, but these must be appropriated by faith. The Word of God declares clearly that salvation is a free gift of God, based on the merits of the death of His Son, and is appropriated by faith. Salvation is affected by personal repentance, belief in the Lord Jesus (justification) and personal acceptance of Him into one’s life as Lord and Savior (regeneration). The new life in Christ includes the privileges of adoption and inheritance in the kingdom of God’s beloved Son. Salvation is an act of free will in response to God’s personal love for mankind. Salvation should produce an active lifestyle of loving obedience and service to Jesus Christ our Savior. The goal of The Church is to make disciples of all nations and to present the saints complete in Christ. The five-fold ministries listed in Ephesians 4 govern the church, along with the Local Council of Elders and service of the deacons, as well as other leadership roles mentioned in Scripture. Church polity is a balance of authority between apostolic oversight, pastor leadership, and local elder stewardship. It is essential to the life of the church that scriptural patterns of discipline are practiced and that oversight for church discipline, individual and corporate, is exercised by the leadership of the church. The Word of God places on the church two perpetual ordinances of the Lord Jesus Christ. The first, Baptism, is the outward sign of what God has already done in the individual’s life and is a testimony to all that the person now belongs to Jesus. It is identification with Jesus and is affected in the name of the Father, the Son and the Holy Spirit. The Lord’s Supper is a commemoration of the death of the Lord and is done in remembrance of Him until He comes again; it is a sign of our loving participation in Him. Both institutions are restricted to those who are believers. The Lord’s Supper is a commemoration of the death of the Lord and is done in remembrance of Him until He comes again; it is a sign of our loving participation in Him. Both institutions are restricted to those who are believers. Pathway Church affirms the bodily, personal, second coming of the Lord Jesus Christ, the resurrection of the saints, the final judgment, and the eternal reign of Jesus Christ on the Earth. 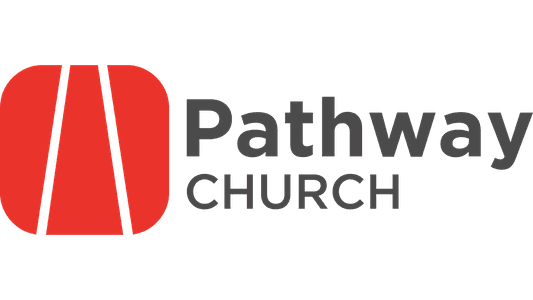 Have a question about what we believe at Pathway Church? Get in touch with a person on our lead team directly by clicking the button below.